Offaly's newest bar, The Phoenix Tullamore, is set to get its grand opening in O'Connor Square on Thursday, November 29. The Phoenix will finally open its doors on Thursday after more than 6 years of planning and building. "Lots of hours went into making what we feel is exactly what Tullamore needs," General Manager John Cannon told the Offaly Express. The late bar, sports bar and venue is the brainwave of Killeigh natives, father and son team Eamon and Eddie Brady, who have put local man John Cannon at the helm as manager. John has over 20 years experience in the hospitality trade and he says the Phoenix promises to put Tullamore "firmly back on top of the entertainment map in the Midlands." The name 'The Phoenix' is synonymous with the town and stems back to the well documented hot air balloon fire which destroyed over 100 houses in the town on May 10, 1785. "When the town was rebuilt, they said it was like a Phoenix rising from the ashes and ever since there has been a Phoenix on the town's coat of arms," John explained. The Phoenix will open seven days from 12pm and John says, "we will be placing a big emphasis on sport, and with a state of the art TV and sound system, it will be the perfect place for all live sporting events." "We will have an outdoor bar/smoking area that is still under construction but will be finished in early 2019," while the new manager also promises "lots more exciting things to come at the back and upstairs in the building on O'Connor Square." The new bar will employ over 20 staff but that number is expected to double in the new year with the introduction of food seven days a week. 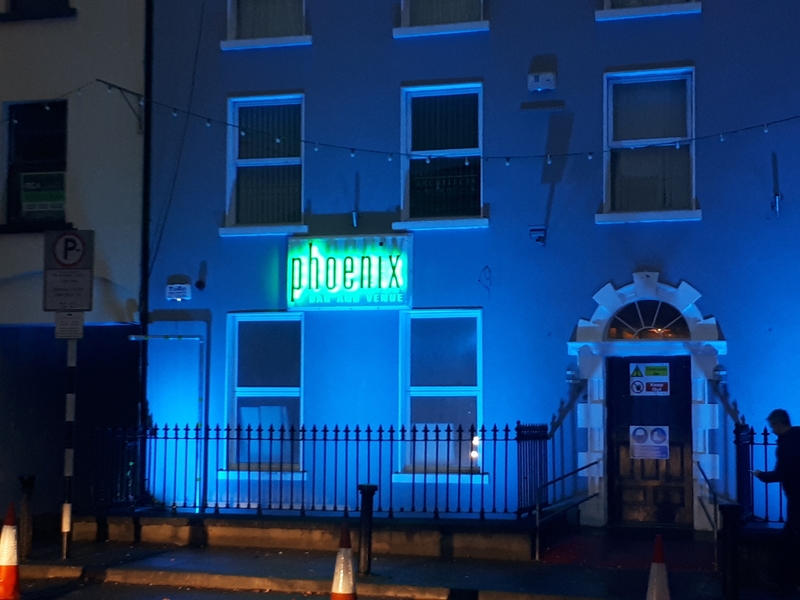 Phoenix, which will operate at a strict Over 21s policy for the late bar, will open its doors for the first time on Thursday, November 29, with a late bar and music from DJ Richie S until the early hours. You can find out more on the Phoenix Tullamore Facebook page. See below more pictures of the Phoenix Tullamore.